The Bloomsbury Guide to Creating Illustrated Children’s Books by Desdemona McCannon, Sue Thornton and Yadzia Williams. I got this book as it was colourful, bright and I know The Bloomsbury Guide is a top guide which brings out a book every year packed with useful little tips and various other things. I’m going to look at what I found useful as there is way too much for me to cover within this book. How much time can you commit to the enterprise? A lot of time, I want this to be my full time job. How much space do you need to work? Not a lot as I primarily work on the computer. Do you want to isolate or would you prefer to share a work space with others? I tend to work on my own anyway but it is sometimes good to have company that you can bounce off when needing help. Do you want to engage the services of an agent or are you happier promoting yourself? I would like to try promoting myself first and then if I am really struggling start looking for an agent. Do you need to engage the services of an accountant or are you confident that you can manage your finances on your own? I have no idea, I’ll deal with that when I get to it. What age range am I aiming for? Is my book a picture book? Am I aiming for a certain gender? A dark book or a happy everything is fluffy and happy book? Just a few questions I will have to answer when I carry on studying my masters. After the first initial pages it carries onto how to create a children’s book and it is in detail. One page I picked out was Classic Children’s Story Themes (pg. 16). This page highlights main emotions such as Courage, Anger, Love and Growing up etc and basically telling you what it could suggest within a book as well as an example. So for example Courage tells you about over coming a fear whether the character is on an adventure or day to day stuff; overcoming this fear and to have faith and belief within ones self. The book example they gave was The Viking Who was Seasick by Cressida Cowell (2001). I found really interesting as I haven’t really thought of focusing a whole book based around one emotion and how to deal with situations. I tend to just pick a story or theme and go along with that rather than focusing it on emotions that can be terrifying to learn when growing older. When writing my children’s book Snodsbury’s Snail Trail I chose to write for the ages 5 – 7 years as I wanted to create a colourful picture book but with facts within it. I thought this was quirky and unusual colours, a bold greeny gold. 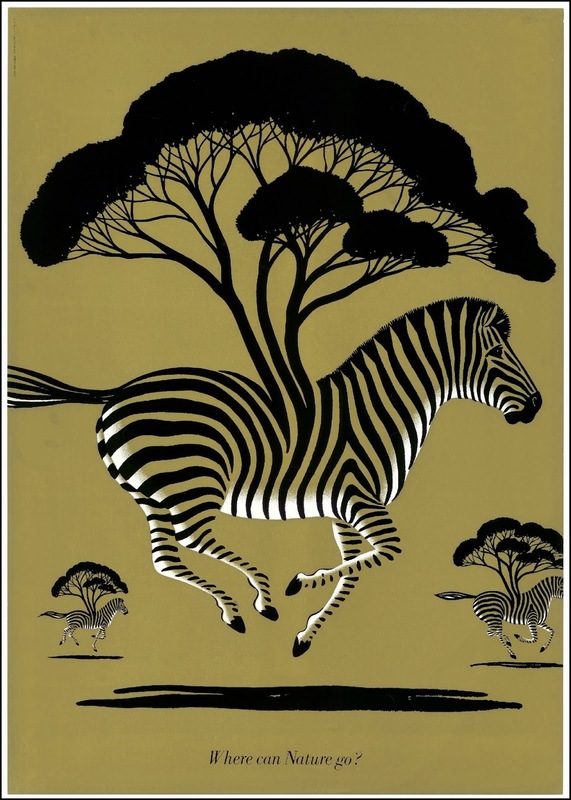 It is clever how you know it i still in Africa or somewhere like that due to the animal as well as the style of tree used. Anyway, check that out but back to the book, there is a little fact that I didm’t know. There are photographic reference books that are available which contain various poses that one can use to draw from and there isn’t any complication of copyright. I have never heard of these types of books but I will try and hunt some out when I have time. Don’t try too hard is a pretty good point, when I was going into second year I made myself worry to much by thinking I must have a drawing style by the end of the year and so I was doing assorts which turned out to be pretty rubbish. Eventually I told myself just stick to one form, so I picked collage. Even my collage wasn’t amazing and so I persevered and moved on to collage but using Photoshop. I now create digital collage by scanning in images and creating scenes. I never thought my work would look like that and I now have some sort of style even though it will most likely change as I develop my skills. Creating characters can be tricky, they are the main star in the show and they are the ones that will lead the reader through the story. Inspiration is easy to find but it’s what you do with it will make the magic happen, inspiration can be from looking around the room to or observing characters from a park bench. How a character reacts towards other characters brings out their personality and bring them to life. I never thought of this until I read this book, so simple yet effective, why don’t you create a mind map of what your character would (personality) be so this could be, he is happy all the time – but why? – because he has just found a penny etc By creating a mind map you may find a story. Animals undertaking human characteristics is extremely popular within children’s books. The aww factor will help when trying to encourage people to buy books but this doesn’t guarantee a ticket to popularity! When drawing animals I always think yeah I can draw a pig easy, I’ve seen a few in my time but when it comes to drawing it, it looks nothing like a pig. A key point in this page is drawing from real life will help tremendously, it will help with posture, move,net and personality of the animal. A section called Expending on the Reference explains using quality referencing will help when trying to break down the animals into a more cartoon look. You will be able to get the perspective and the length of limbs a lot easier. Another good point is to create a 180-degree rotation of the character, by doing this you will grasp the correct sizes of the limbs etc From this you already have 5 preformed shapes that can be useful when placing them within scenes. Before carrying on I saw this image within the book and it took me ages to find but I really like it! 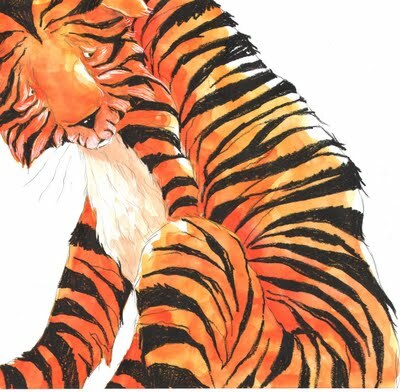 Created by Kirsteen Harris-Jones this is clearly a sad tiger. I love the vibrant colour and how he doesn’t fit within the scene. The personality and emotion comes through due to the small sad eyes and the hunched posture.She has used human characteristic to allow the viewer to become emotionally connected wight the tiger. The story is just as important as the illustrations, there no point having an amazing illustrations when the child can’t grasp the story as they will get bored. So after picking a theme you have to know where the action is going to take place. This book comments ‘you will need a cause: something that is happening or has happened to make your character behave as they do.’ (2008, Pg. 56) It is true you can’t have a character that does nothing, whats the fun in that! Does the book have a climax or does it carries on a mystery that the reader has to use their own imagination for. Create a story plan. When creating text for the book don’t patronise the reader, children are physically smaller than adults but they can be just as sharp. They are learning things for the first time and it is always nice to have a good experience when learning to read or learn something for the first time. When I create any sequential images I always create a storyboard as it helps me to understand the pacing as well as if the scenes have a nice flow to it. It also allows you to see as a whole if the composition is good, maybe there are too many straight on scenes and you need to interject some weird but wonderful angles to make the story more interesting. Look at other books and see how they run and look at how the scenes flow with different angles and point of views. Once you have attained the storyboard and have created the final images create a mock up book. This will help tremendously as you will able to see if the scenes work now they have been completed. Also what a lot of people forget including myself is the fold of the book, sometimes where the book folds in half you can lose a lot of your image. By creating a mock up book you will be able to see if any of your images have been lost. From pages to 116 to 143 it explains the different materials you can use and what outcomes you can get from each material. It would be easier to look at it yourself due to the vast amour of information for each media but it is well worth a look as it is amazing how much you can get from each media as well as the variety of styles. Business Essentials – invest in well printed stationary e.g. business cards that you can give out because you never know who you will bump into! Invoice template which should have your name, contact details, name of the company or person who commissioned you, description of the job and the agreed fee. Agents – You can join an agency that can become useful by promoting you work and getting work for you. However, some come with a fee and if you are not doing well or unreliable they can drop you. Licensing – this is a clear document that identifies what you are allowing and not allowing people or a client to do with your work. This includes the use of your work, area, exclusivity, duration and royalties. Contracts – This can be in a written form or a verbal agreement. It is similar to a licensing, telling the client on what they are allowed to do and not with your work. The Art Director – meeting the director can be terrifying! some simple pointers may be the difference of getting the job and going back home empty handed – make eye contact, shake hands and smile! Yes you feel sick to the pit of your stomach, your legs feel like jelly but a smile can ease the tension and they might be just as nervous as you! You need to come across friendly and enthusiastic as you wouldn’t want to work with a grumpy person so they most likely wouldn’t either. Have confidence in your work and point out the positive not the negative. The art director is busy and doesn’t have time to listen to every detail that you would like to give so keep short and sweet pointing out the key parts. Have an online portfolio – always handy as it’s an easy way to direct people to look at your work. Yay! You have the job and get a commission. Royalties – The publisher offers the contributor a percentage of the ongoing profits. Be prepared to pass the job if the terms aren’t acceptable to you. There might always be a better one around the corner. Ok, so these are the main points that I looked at and thought I would share. I would definitely recommended this book as it has hidden trips and tricks through sticky moments when creating work, there is a lot of text but it has some lovely illustrations as well. I hope this helps because it has helped me! Harris-Jones, K., 2011, Tiger [internet]. Available from: http://its-all-about-the-line.blogspot.co.uk/search/label/tiger, [Accessed 11 March 2014, 2.10pm]. 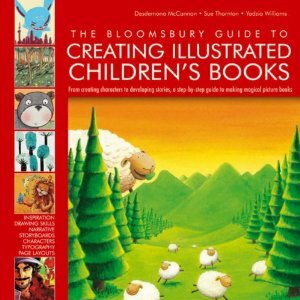 The Bloomsbury Guide to Creating Illustrated Children’s Books [internet] Available from: http://ecx.images-amazon.com/images/I/517togkFtfL._SY300_.jpg, [Accessed 11 March 2014, 2.09pm]. Peacay., 2014, Graphic design posters by contemporary Japanese artists, hosted by Takushoku University Arts Library [internet]. Available from: http://bibliodyssey.blogspot.co.uk, [Accessed 11 March 2014, 3.04pm]. This entry was posted in The Bloomsbury Guide to Creating Illustrated Children's Books - review.